It is an island in Andaman Islands. 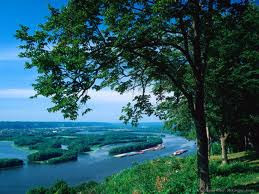 It has an area of about 238 km2. 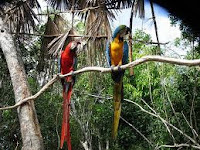 It is one of the main attractions of Andaman Islands. Baratang is the only place in India where mud volcanoes exist. 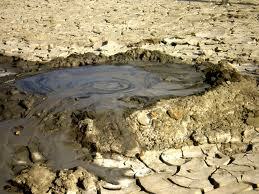 These mud volcanoes erupt at irregular intervals. The recent eruption was in 2005, which is assumed to be due to the Indian Ocean Earthquake in 2004. The natives of the Islands named this mud volcano as Jalki. One another beautiful place is the Limestone Caves. The journey to these caves is through tribal reserves which is really amazing. Tourists may get a wild chance to see a quick look of a sun bathing crocodile with its jaws wide open and also a stone like still that is hidden in the mangroves. 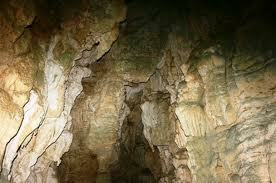 Limestone caves are a cave with attractive limestone structures, stalactite and stalagmites. These natural caves are marvellous to see. The main way to travel to Baratang Island is through Sea. Recently, Government constructed a road connecting Port Blair and Baratang Island. 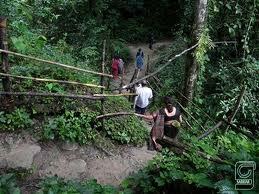 This becomes a real advantage in the progress of Andaman Tourism. Main tourist destinations in Andaman and Nicobar Islands like Lalaji Bay Beach, Cuthbert Bay Beach, Merk Bay Beach, and Spike Island, Parrot Island etc, are easily reachable from Baratang and are within 45 minutes by sea. Activities like Jungle Trekking, Island Camping, Creek Safari, Bird Tours, Beach Tours, Snorkeling Trips and Scuba Diving are available in Baratang.